Finahub Official Blog: Where digital signatures (including Aadhaar eSign) can and cannot be used? Where digital signatures (including Aadhaar eSign) can and cannot be used? 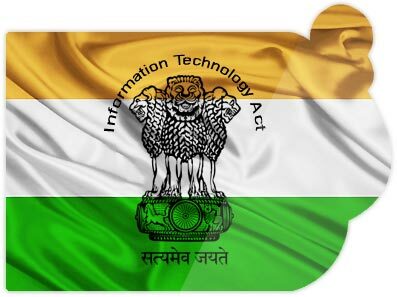 In India, the Information Technology Act 2000, gives digital signatures the legal validity as a signature at par with physical signatures. Digital signatures enable digitization of processes making them more efficient and convenient for all parties involved. Until recently digital signatures have been used by a very limited set of people for a very limited set of activities. This is because digital signatures have been seen as a complicated piece of technology that required the use of specialized software tools and process for its work. This has kept the technology from getting mass adoption even though it has immense potential. All this is going to change with the advent of Aadhaar based eSign technology that enables any Aadhaar holder to do a digital signature without having to install any software or purchase any signature/certificate from a certifying agency. A digital signature can be placed on a document by just an Aadhaar authentication using biometric authentication methods or by OTP. This is a great opportunity for businesses in India to digitize their process and take advantage of the operational efficiency and cost effectiveness offered by using fully digital processes. Businesses will have to look at the processes that are ideally suited for the use of digital signatures without causing a legal fallout. This brings us to our question, are there cases in which digital signatures cannot be used? a power-of-attorney as defined in section 1A of the Powers-of-Attorney Act, 1882.
any such class of documents or transactions as may be notified by the Central Government in the Official Gazette. This means that digital signatures, which is part of the IT act, will not be valid for transactions coming under negotiable instruments act expect issuing cheques, for signing on a power of attorney, creating a trust, creation of a will of succession, deeds for the sale or purchase of property or other immovable assets. Filling of forms, application or any other document. Issuing electronic cheque (as per Explanation 1 to section 6 of the Negotiable Instrument Act, 1881). So if you are thinking of implementing a fully paperless process utilizing Aadhaar eSign, make sure that you keep the dos and don't in mind so that you don't run into legal issues in the future.